Ocean explorers sometimes encounter creatures that simply don’t appear to belong on this planet. We continually learn about ocean wildlife, yet extraordinary appearances, outlandish life cycles and bizarre behavior still strike us as “alien”. Jellies epitomize this “alien” phenomenon. They look like umbrellas, can be bigger than a human, or smaller than a tack and have stinging tentacles. Yet they are poor swimmers and subject to the whims of ocean currents, making them one of the largest type of plankton. 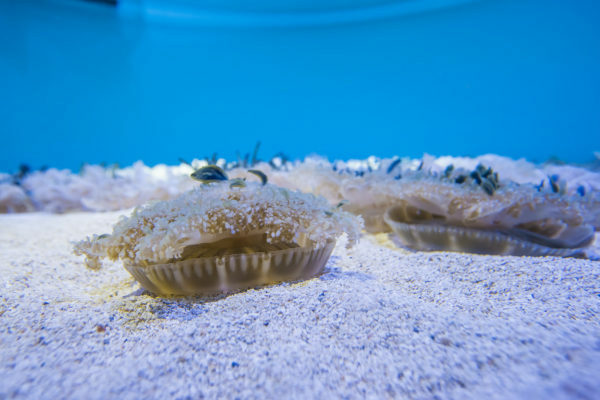 Travel to our Planet Jellies gallery – one of the largest of its kind in the world – and learn more about the four species of jellies, beautifully exhibited in backlit kreisel tanks and colour-changing displays. Click here for our weekly schedules. One of the most photographed animals at the Aquarium, the Pacific sea nettles, are easily one of the most bizarre creatures on display. These brainless, eye-less creatures are almost 95% water! With no eyes to help detect their food, they rely on light-sensing organs. 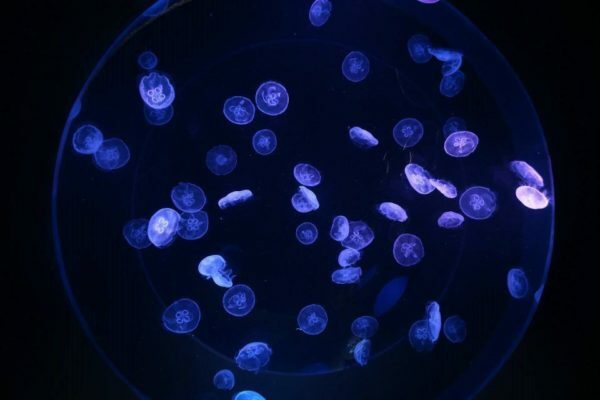 Moon jellies can grow up to 40cm in diameter and can be found in the Atlantic Ocean. These jellyfish are capable of life cycle reversal, where individuals grow younger instead of older! At Ripley’s Aquarium of Canada, we grow our own moon jellies to display in our Life Cycles Exhibit. Upside down jellies lie on the bottom of the ocean (upside down) to expose their algae covered arms to the sun. 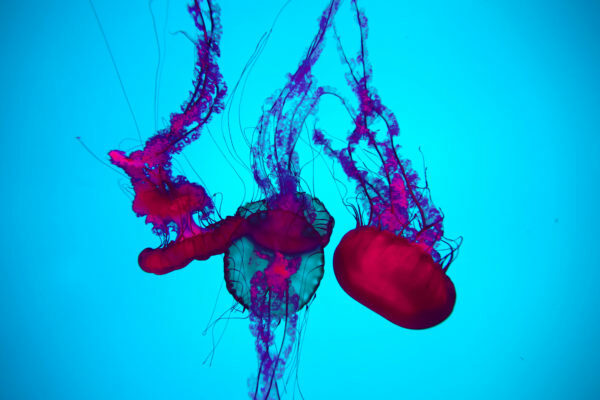 When disturbed, these jellyfish will swim off the bottom of the ocean or excrete stinging cells contained within mucus as a defence. • Planet Jellies is home to one of the largest kreisel tanks in the world! What is a kreisel tank? A kreisel tank is a special tank designed specifically to keep jellyfish. Unlike standard aquarium exhibits, a kreisel tank is a horizontal cylinder, created to eliminate elements in a regular tank that could compromise the life of a jellyfish – such as corners and bubbles. Believe it or not, jellyfish are such poor swimmers they can easily become trapped in corners and bubbles can tear through their bells. • Our Life Cycles Exhibit showcases moon jellies at all stages of their life, from polyp to medusa. • Look up! 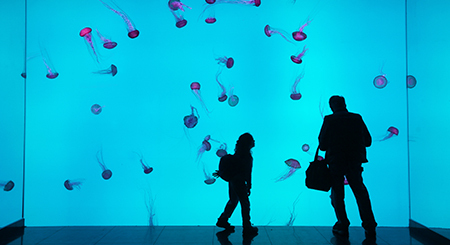 Planet Jellies has a ceiling exhibit, allowing guest another angle to view these mesmerizing creatures! • How does one take care of a jellyfish? Find out that and more with our blog post “Jellyfish 101”!